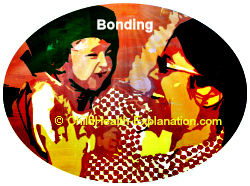 Infant bonding is believed to be a natural phenomenon, but it is a crucial part of newborns' neurodevelopment. 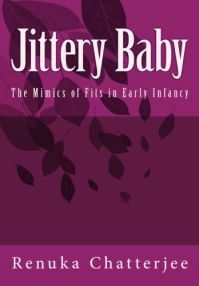 Babies born preterm experience abrupt interruption of prenatal and postnatal physiological sensory inputs essential for healthy emotional development. Separation from parents results in altered environmental experiences in response to baby’s needs, particularly during neonatal care unit stay, which distort infant’s unique learning circuit of trust and mistrust. Most ancient cultures therefore stressed about 6 weeks of undisturbed mother infant interaction to optimize their bonding, and thereby strengthen child’s ability to deal with negative emotions in time of stress. Development of disorganized attachment imperils infant bonding. Excessive crying, poor consolability, disturbed sleep pattern, delay in developmental milestones and temper tantrums are some of its early signs. Affected infants are usually perceived as difficult children. Most parents of low birth weight babies express their inadequacy in ability to meet their infant’s needs despite of following all tips on newborn parenting. Can parenting practices be uniform for all children? Benefits of positive parenting on child’s self-concept and personality development are extensively emphasized in the literature on parenting. Bilateral dynamic communication is employed by most parents. Yet we see that consistency in parents’ attitude towards their children’s needs falters. Moreover, each child in the same family receives different, but quite individualized treatment that remains consistent for that particular child. Does it not indicate that children’s behavior also influences their parenting! The parental aspect in child parenting is unequivocal! But children do have evocative effect on their parents’ behavior. Children therefore play a major role in how they get parented. Inherent temperament and early life experiences modulate child’s behavior, which in turn influences parent child bonding and the family environment, thereby their parenting style. What is then the ideal child parenting style? Dos and don’ts are constantly showered on parents. They often give into them in hope to help their child excel in social, scholastic, professional and all worldly achievements. But each child is unique and demands unique parenting for best psychosocial, cognitive and intelligence development.